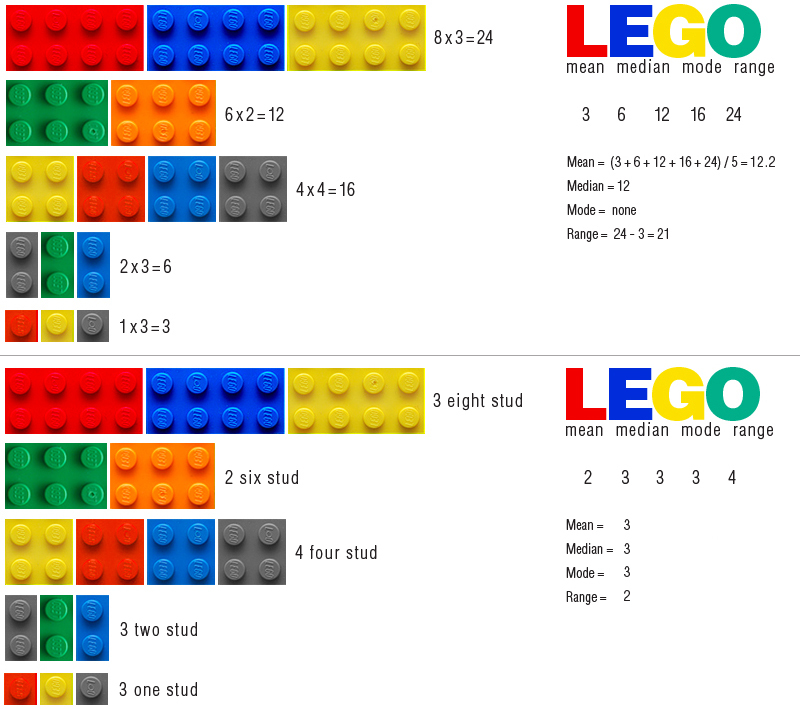 Hand each student a baggie of various Legos and explore mean, median, mode, and range! 1. Have kids classify bricks by number of studs. 2. Then, have them figure out the total number of studs for each group (ex:). 3. Once they have their numbers, they figure out the m,m,m,r. 1. Kids classify bricks by number of studs. 2. Then, they count how many they have in each group (ex:). 3. Then, they figure out the m,m,m,r. You could also build Lego Towers and classify bricks by color. Then, have kids figure out the mean, median, mode, and range. Set a timer and have kids build the tallest tower they can before the time runs out! They take their tower apart and classify their bricks by color. Using their data (ex: 19 red, 10 blue, etc. ), they figure out the m,m,m,r for their Lego colors. 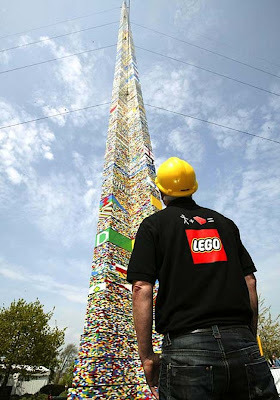 You could also have students build towers with various studded Legos. The only rule is their structure must balance on its own. Students try to use as many bricks as possible! When the time is up, they take it apart and classify their bricks by the number of studs. Then, they figure out the m,m,m,r. I love this idea! So creative and it's "pinned" for next month. I'm your newest follower!